Le livre FELSINA PITTRICE: VOLUME I: EARLY BOLOGNESE PAINTING, Ã©crit par E. CROPPER, L. PERICOLO, Ã©ditÃ© par HARVEY MILLER coute 220,00 â‚¬. Count Carlo Cesare Malvasia's Felsina pittrice, or Lives of the Bolognese Painters, first published in two volumes in Bologna in 1678, is one of the most important sources for the history and criticism of painting in Italy. This richly illustrated volume provides a translation and critical edition of the opening part of the Felsina pittrice, which focuses on the art of late medieval Bologna. 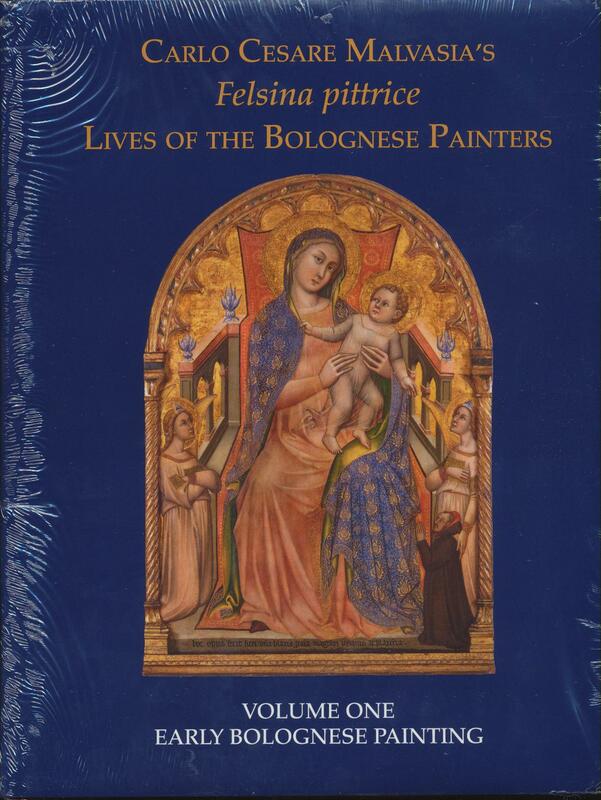 This richly illustrated volume provides a translation and critical edition of the opening part of the Felsina pittrice, which focuses on the art of late medieval Bologna. The text is unusual in the context of the Felsina pittrice as a whole in that it seeks to record what survives in the city, rather than focusing on individual artists. In response to Vasari's account of the Renaissance of painting in Florence, Malvasia offers a colorful and valuable portrait of Trecento painting in Bologna, noting the location and condition of destroyed or whitewashed frescoes, dismantled polyptychs, and paintings for which no other record survives. Malvasia provides crucial information on works by important fourteenth-century painters such as Lippo di Dalmasio, Simone dei Crocefissi, and Vitale da Bologna. Included in the volume are historical notes to the text and to the transcriptions of the Scritti originali, published here in their entirety for the first time. The notes enrich our understanding of individual works and identify the sources Malvasia used. Elizabeth Cropper's introductory essay serves to establish the significance of Malvasia as a historian of art, while Carlo Alberto Girotto's bibliographical essay analyses the production and reception of the Felsina pittrice as a whole. "Overall this inaugural volume surveying a vast and challenging body of material is a work of profound and intimate scholarship and an invaluable source of provenance and historiography. For devotees of Bolognese seicento painting the best is still to come: one can only hope that such a monumental undertaking receives the support it deserves from publisher and libraries alike to bring it to completion." (Robert Gibbs, in: The Burlington Magazine, July 2013, p. 491).